Entec offers a wide selection of stage furniture such as drum risers, keyboard risers, BV risers and DJ riser/tables, as well as an outdoor stage roof system. 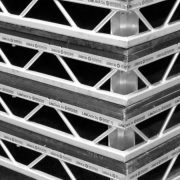 Our modular stage decks can be configured into various shapes and sizes to suit most requirements. Whilst we do not stock vast quantities of staging equipment we do regularly call upon our trusted rental partners who work under our careful supervision to ensure that our externally sourced solutions interact smoothly with a production’s overall specifications. To find out more about how Entec can satisfy your staging requirements, simply contact Noreen O’Riordan, Managing Director & Head of Lighting, at Noreen@entecLIVE.com or on +44 (0)20 8842 4004.